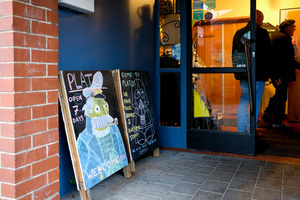 PLATO was opened in 2002, by chef Nigel Broad. Backed by a wide experience in kitchens, he brings a simple and uncomplicated approach to food. His style encompasses traditional, ethnic and simple tastes to his menu, using fresh and local produce. His philosophy is to produce food that he would eat when dining out. With an amazing range of fresh produce and world-leading wines right on our doorstep, we don't need to look far to find the best items for our ever-changing menus. At PLATO we use the freshest ingredients, wherever possible sourced locally. These include organically-grown herbs and, when available, salad greens, also the best South Island fish and seafood, and local meats - all washed down with hard-to-beat Central Otago wines and locally produced beers and soft drinks. Amazing! Very happy taste buds and very happy belly. I went there with my boyfriend last Saturday night. We started with the paua patties and fish platter. The staff were more than happy to supply extra plates so we could share. For mains we had the yellow fin tuna steak and the pork and clams, again extra plates were supplied so we could share. It was hard to pick a favourite!! Due to feeling full we shared just had the one dessert which was the cappuccino brulee - mmmmm. A few wines and beers as well and it was perfect. The staff were great and attentive without any hovering over us. At the end of the night a taxi was called for us and we left there extremely happy and satisfied. Have been telling everyone about it!! Yes, Plato is a bit hard to get to on foot. You have to cross over train tracks on viaduct with somewhat incidental footpath. 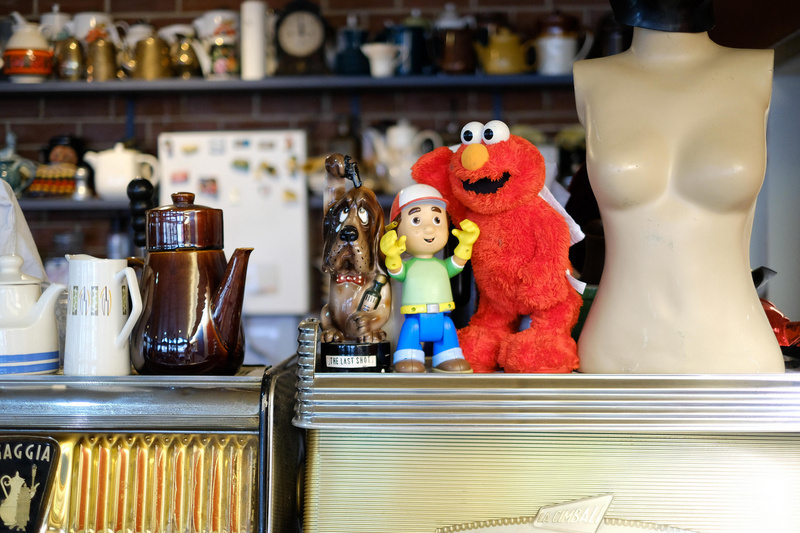 Yes, the decor is eccentric: who knew there were so many 70s era coffee carafes left on the planet or so much kitschy Bric-a-brac and figurines. That said, the tables and chairs are simple and clean. But the food and service were exceptional! We had the seared yellow fin tuna coated in dukkah and the pan fried gurnard coated in kelp. Also some of their own summer IPA and a Marlborough Sauvignon Blanc. Dessert was a stunner: house made scoops of mango sorbet, cherry ice cream, and passion fruit ice cream on a bed of homemade cookie crumb topping. The wait staff was personable and helpful and the food came quickly. We’d go back in a heartbeat if we weren’t leaving tomorrow. 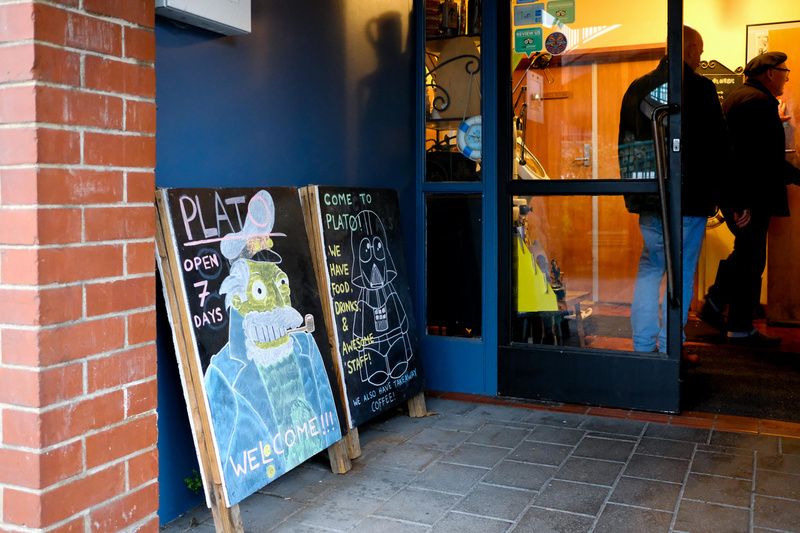 Plato offers fantastic local seafood, and is a great lunch or dinner venue. The location isn’t the easiest, and isn’t that accessible for tourists (you can walk from the centre, but it but parking in local streets is plentiful). The decor is 70s eclectic throwback, but when I go out for a meal the food and wine is my priority. Was craving some good fish and seafood for dinner and came to Plato after seeing it here as a good rated place. For those of u who haven’t tried it yet, GO HERE! GO HERE! GO HERE!!! We shared the fish platter of which the muscles and clams were my absolute favorite!!!! 2 of us had the tuna steak, and there was also the salmon dish and fish pie. Happy to have gone early, as we winged it not having booked a table ahead of time. They took us in with a smile and the rest is in our bellies..... errrrr history!!!! Sorry, no pix cuz we devoured everything before I had a chance. Great dinner even for a baby! We had a lovely dinner at Plato. Dishes are delicious and the staff very very kind! Our waitress was the best! We had our baby boy with us so she brought him toys, was nice to him which meant that he was happy and enjoyed the dinner with us. He loved the seafood chowder and the paua. Child friendly, nice concept and lovely food. Second time I have been here. Last time was 2 years ago. Still one of the best restaurants I have ever eaten at. Entree was mixed dips/ chutneys with bread, very good. This tine I had the smoked steak with jalapeno sauce fir main - fantastic! My wife had Smoked Fish pie - still good. Side dishes if vegies and salad epeere innovative and good enough to eat on their own. Accompanied by a glass of Peregrine Pinot Noir which was a superb wine reasonably priced. Six of us went here for a dinner. The food was excellent. I had a smoked sirloin steak which went perfectly with the jalapeño cream sauce. Others in the group had lamb, tuna, fish pie and mussels which all looked incredible. To top things off, we were seated next to 20 Lions rugby players! Google review-2nd June 2017-" Best seafood in town"
Google review-31st May 2017- "A wonderfully quirky restaurant serving fresh and simply prepared seafood. Lovely staff. One of my favorite Dunedin restaurants. Dined here more than 10 times. Thanks"
Plato is tucked away in an unpromising looking location, and in an unpromising looking building. However when I arrived here on a week night it was humming with people who clearly know where to find good food and friendly service. Having read other reviews I was not surprised by the canteen like building or the quirky decor, and hoped the food was up to it. it was. I had the most beautifully cooked piece of fresh warehou with paprika butter and a miso and avocado side salad which was generous and delicious. I left absolutely full and with pleasant memories of friendly wait staff and a really good meal. I will be back. Was last here a couple of years back. It's a little out of the way, it had the same wacky decor, and great food, well that's why we came back. We had the paua fritter and seafood platter for entrees, followed by the warehou and smoked sirloin for mains. All great, no room for dessert this time. Service was good, probably the stand out restaurant in Dunedin. Be back in another couple of years! Best seafood in Dunedin, and a great place for brunch which many wouldn't think of. Good coffee and nice to try their beer as well. We accidentally passed this restaurant and decided to give it a try. Well, we had a very warm welcome and were surprises by the interior. It is such a nice space to sit. But more importantly: the food! Our very friendly waitress explained the whole menu and gave us a sample of the beers they brew themselves. We had a fishplatter as entree and the fish coulndt have been more fresh and tasty. Than I had the seafood chowder and my husband had the fishcurry, both were DELICIOUS! This is food that really makes you happy! So definitely, I would recommend this place! Exceptional. Wonderful balance of flavours and as good as anything out of Auckland in that regard. Restrained but approachable in terms of presentation. Love this place! Food is always amazing - service is always great very friendly. Fish pie, and the steak are my favourite but their fish of the day is always AMAZE. Very expensive so good place to go on a special occasion. Recently went to Plato for Dinner with my wife. Had an absolutely fabulous meal and for those who like plenty the meal was quite large. My wife being Thai loves seafood and so had Local Otago Clams for her main. Came here as a group of eight for an informal work do during a conference - has quiet a different décor than you would expect of a restaurant but in a nice way - I liked the ambience it gave. Staff are very friendly and accommodating. Meal portions are very generous - most of us had fish as there was a good selection of varieties and different ways that it could be cooked. Everyone enjoyed there food. I had the crispy squid for an entrée that was tender with a nice crispy flavorsome coating. My mains was an excellent Tuna Steak cooked to perfection. Dessert was an Apple and Rhubarb Tart that good too. My wife and I ate dinner here. The food was amazing. We had read online that it had won some awards for its food and the food lived up to it. We had calamari for an appetizer and it was great. Perfectly seasoned and only a little breading on it which was a really nice surprise. I recommend it, as it is some of the best I've ever had. My wife ordered a tuna steak and it was also one of the best tuna steaks I have ever tried. I ordered the seafood curry and it was full of flavor and really interesting to eat I also recommend it. The service was great, our waiter was timely and friendly. The atmosphere is a bit odd with lots of trinkets lining the walls as you walk in, but I go to a restaurant more for food than decor so don't skip this place because of the way it looks inside otherwise you will be missing out on some really good food. The service was top notch and flawless - attentive, thorough, relatively quick, and friendly. The server was very happy to share with us the specials of the day, and also did not rush us into finishing our meal - explicitly or otherwise (such as bringing the bill without us asking). The steak was perfect. The doneness was right on point, and so was the seasoning. The sides were very yummy! We also had the blue cod with apple and cucumber salsa. I have never seen such a generous serving of blue cod for $30+, and the fish was not only fresh but cooked well. The flesh was shimmery white, and each chunk slid off the rest with ease. It tasted fantastic. We loved the mains so much that we decided to give their desserts a try. No regrets with the brownie dish, which came warm with a side of lovely vanilla ice cream, a dash of cream, drizzled with chocolate fudge and topped off with berries. Wasn't strikingly inventive but I cannot fault a good dessert, especially when it followed an immaculate serving of mains. Pity we only stayed a night in Dunedin - we would have almost certainly returned another night to try the other dishes! 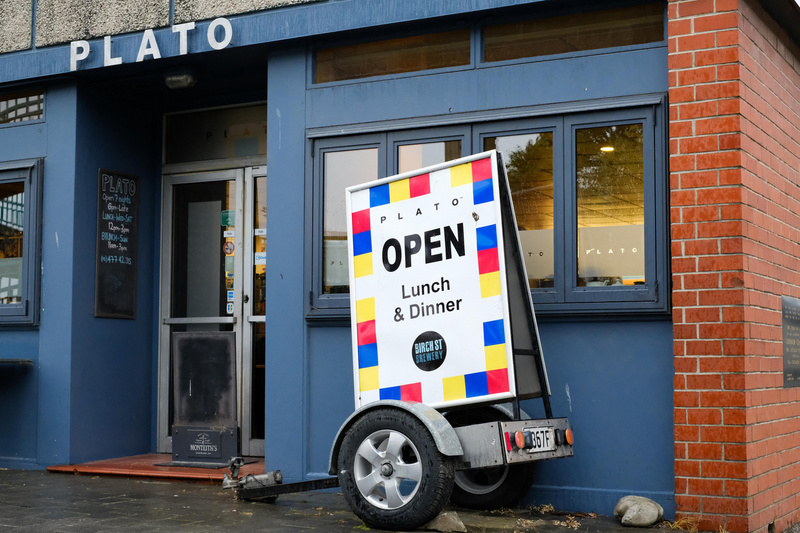 "Great surprise with quirky decor"
We arrived at Plato without a reservation not knowing what to expect other than they did sea food and home raised meat. We were lead to our table and offered drinks while we awaited for the kitchen to open. We were shown the wonderful varied menu and queried about Gluten Free options. They were very helpful. My daughter of (7) and I chose to share a main of chicken with vegetables. My daughter exclaimed that this was the best dinner ever. My hubby chose local fish with a side of courgette and Dukkha. We finished it off with Capuccino Brûlée. It was Devine! While we waited for our meal we started a game of eye spy! It was so much fun with all the collection to choose from. Over all, a fabulous experience! Loved everything about this restaurant.. the seafood was amazing.. staff were super friendly and had great customer service..and the wine list had a good selection including the yummy FR Chardonnay! Best food we had in New Zealand!!! We can highly recommend it. Very friendly staff. They do everything so well here. Wait staff is great, service fantastic, food so good. If it's one of those days when you don't want to take risk with your food, this is the place to go. The food is really top class and Katrin is a great chef. The culinary journey was truly fantastic. Not quite my taste aesthetically and a little drafty would be the only small negatives. Will go back again soon. Visited this restaurant with a few colleagues. Struggled to find it as there are no big signs or obvious restaurant locations....this was no issue once you do locate it as the quirky decor (lots of old teapots and relics from the 40's 50's and 60's it seems) are forgotten once the food is served. I had the curried elephant fish (no tusks :-)) which had some nice authentic Indian spice and some great side plated accompaniments. Other colleagues ordered the seafood chowder which I'll definitely try on my next opportunity...lots of fresh seafood and looked tremendous. All of our group of eight thoroughly enjoyed our evening meal here from a truly flavoursome menu- as good as you would get and expect from a top restaurant. The local fare of fish, six or seven varieties, on the menu and cooked to your preference. Desserts were divine, and there was plenty of variety on the drinks menu. We found the staff attentive and speed of service excellent. We booked online some weeks prior and were contacted earlier in the afternoon and then the evening to ensure that we were still attending- perhaps they had patrons on a waiting list. Anyway a thoroughly enjoyable meal and evening out in a somewhat different facility. Take the time to check out all of the knick knack memorabilia that is on the wall, and every available space. I'm so glad I don't have to dust all of that! Recommended by a local, what an incredible experience we had at Plato - we ordered a bunch of entrees and some of the local craft beer and - wow - everything was just fabulous. Quirky décor and friendly charming host and servers, this was a meal we hadn't expected (sorry Dunedin), and will be back for as often as we can!